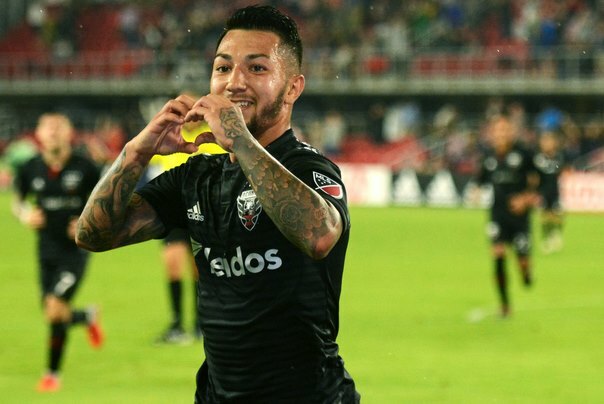 Luciano Acosta is once again being monitored by big European clubs. D.C. United star is doing well in 2019 MLS season and after a disappointing January, he could be actually on the move to Europe. According to the reputable The Athletic, Acosta was watched by Manchester United scouts in D.C. United’s heavy loss to Los Angeles FC. This should not come as a huge surprise, having in mind Acosta was very close to signing for Paris Saint-Germain in the January transfer window. The 24-year-old attacking midfielder was so close to become PSG player that he was already in France on the last day of January, ready to finish the deal and sign the contract. That never materialized and Acosta was truly disappointed with how it all ended. Now Man United are keeping an eye on a player whose contract runs out at the end of 2019 and from 1 July he will be able to sign a pre-contract with any non-MLS club.